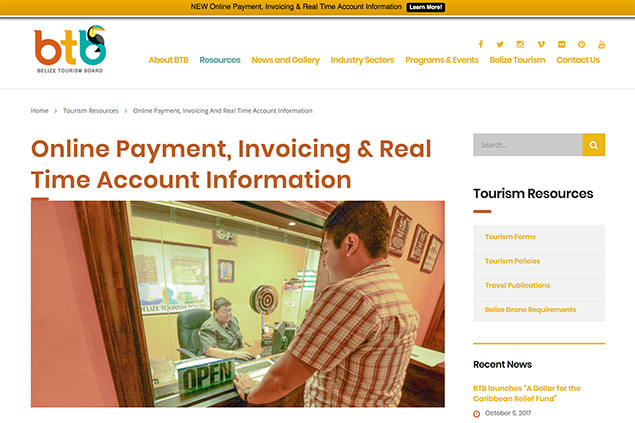 As part of its continuous efforts to improve its service to tourism stakeholders, the Belize Tourism Board (BTB) today launched a new online portal at its main headquarters in Belize City. The portal will be linked to the BTB’s website and is designed to be simple, user friendly and allow industry partners to conduct various types of official business such as licensing, guest registration and payments from the comfort of their homes or offices. The first phase commenced on November 1st this year to allow Hotel Accommodations to make online submissions of monthly tax returns as well as online payments through Atlantic Bank, Belize Bank, Heritage Bank and Scotia Bank. Over the counter payments can also be made at these banks. Next year the portal will be expanded to include online submission of guest registration forms and licensing applications and renewals. The BTB online portal will be convenient, fast, accurate, secure and easily accessible. Payments will be made in real time and offer savings in cost and time. 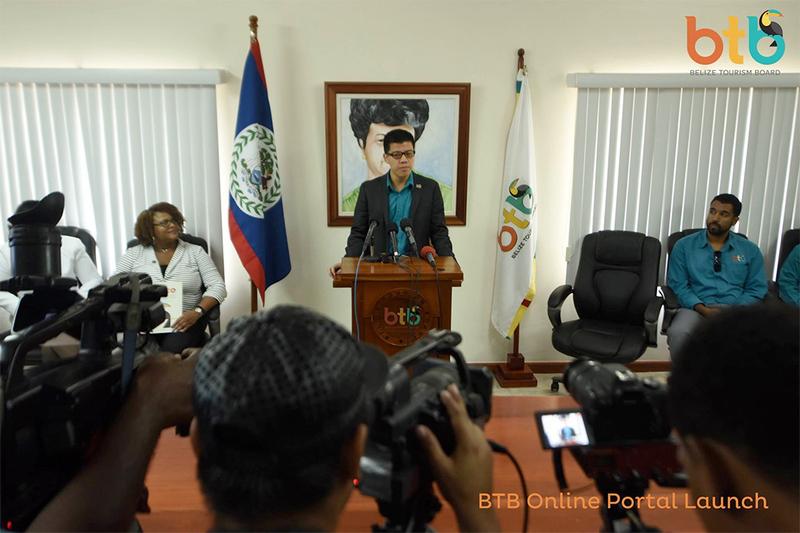 At the launching of the BTB online portal, Ms. Karen Pike, BTB’s Director of Marketing and Industry Relations, reassured those present that “the BTB is committed to embed tourism as a top priority as we contribute to the overall economic growth for Belize.” “Likewise, the BTB recognizes that our tourism stakeholders are the backbone of our industry and we are strongly committed to improve our services as we ensure the economic growth of the tourism industry through a prudent and transparent process,” Ms Pike said.